ETHOS are an ethical ﻿Social Enterprise﻿ that strive to offer experiential adventures. Our aim is to facilitate conscientious travellers in creating unique ADVENTURES whilst supporting local minority tribal people in helping themselves. The experiences are made by you and enhanced by our team of local guides who will use their vast knowledge and skills to support you in finding something special in the Sapa area. ETHOS began as an INGO, providing vocational training for ethnic minority children in Sapa District at the turn of the century. Driven by compassion, we morphed and grew into a socially responsible company. We now provide experiential tours for conscientious travellers seeking authentic cultural exchanges. Our aim is to provide exceptional community based tourism opportunities which in turn fund an expansive range of social development projects. ETHOS experiences focus strongly around the rich cultural diversity of Northern Vietnam. We avoid mere sightseeing tours in favour of deeper cultural exchanges and interactions between travellers and local people. Community Based Tourism for those seeking experiential, cultural authenticity. Northwest Vietnam is a captivating mix of dramatic mountainscapes, and an aesthetic​ geophysical landscape shaped by nature and by man. Amist the crisp, fresh air lives a mix of colourfully-clothed hilltribes. ETHOS have a wide range of experiences, from trekking through hill tribe villages, ethnic minority homestays, textile workshops, &motorbiking adventures throughout Northwest Vietnam. View our create your experience page, or contact us to let us know what you'd like to do, and we'll do our best to make your time in Sapa an unforgettable one. We would highly recommend booking your experiences prior to arrival arrival in Sapa. All of our tours are flexible and we would love the opportunity to meet you before you embark on any trips. This will allow us to discuss your needs in person and assess the weather conditions before making recommendations. ETHOS are one of the most dynamic adventure and travel co-operations in North Vietnam. Our management team are made up of Hmong, Red Dao, Vietnamese and British advisers and we strive to encompass a real spirit of community through our work. Tourism can be a real help to local communities, providing income, positive cultural exchanges and a financial incentive to protect their natural environment. 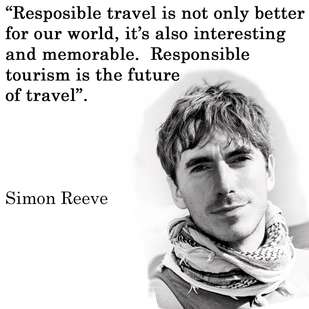 Ours is a 'total approach' to responsible tourism, covering everything from the way we plan and operate our trips to the practices of ETHOS as a company. Born in 1998 and having metamorphosed through a variety of guises over the subsequent years, we now offer bespoke travel experiences to those seeking something different when visiting Northern Vietnam. You tell us what things interest you and we will do our best to support you in arranging something ideally suited. In order to truly experience Vietnam, we feel it’s imperative that you delve into minority culture with a genuine off-the-beaten-track highlands adventure. We offer a wide selection of adventures, including cultural experiences, trekking, multi-day expeditions, and motorbiking. Photo credit: David Lazar. Click here to see more of his incredible work.